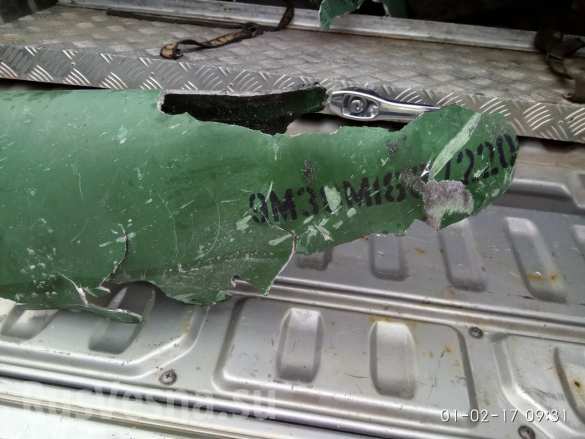 Evidence indicates that MH-17 was shot down by cannon fire from UAF fighter jets. However, Kiev says any missile fired from the ground could not have come from government-controlled territory because they didn’t have such equipment there. NOTE from J. Arnoldski: Fort Russ guest analyst Dr. Eduard Popov has received confirmation of this report straight from Makeevka. 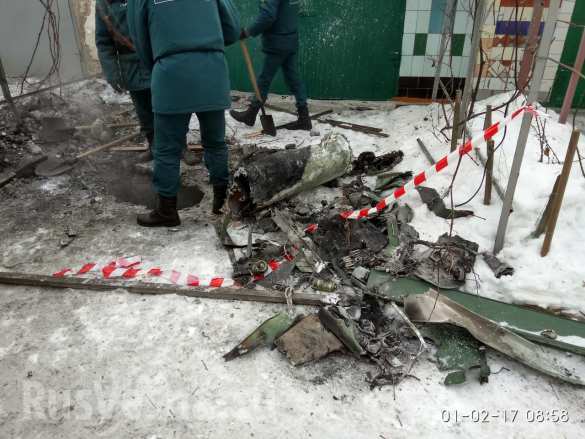 Yesterday evening, January 31st, the tail section of a BUK missile launched by the Ukrainian army from the outskirts of Avdeevka fell in the residential sector of the city of Makeevka. The missile part fell right in the yard of a private home and caught fire. 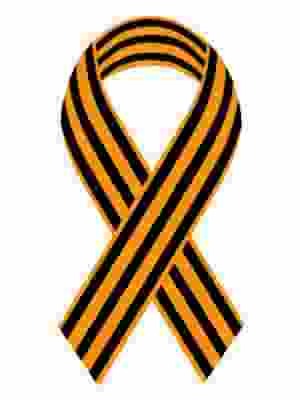 Employees of the Ministry for Emergency Situations of the Donetsk People’s Republic arrived at the scene upon calls from local residents and extinguished the fire. At what target was this shot by such a Ukrainian anti-air defense complex which Ukraine has assured there are none of in the so-called Anti-Terrorist Operation zone in Donbass, and whose absence from the frontline is alleged to be the main reason why Ukraine couldn’t have shot down the Malaysian Boeing? The target of the Ukrainian missile was a large unmanned aerial vehicle of the OSCE observatory mission which is recording Kiev’s genocide against the peaceful civilians of Donbass and is thereby seriously hindering the Ukrainian Armed Forces from executing the criminal orders of the Kiev authorities. Let’s see how Ukraine will comment on the presence of the infamous BUK complex in the Avdeevka area which, as it has assured, there is no such thing in Donbass.